Henrik Zetterberg is one of the best captains in NHL (and Detroit) history. Since taking up the captaincy mantle in 2013, Zetterberg has quickly become one of the most respected players in the league for a plethora of reasons. Following in his countryman, Nicklas Lidstrom’s, footsteps, Zetterberg has made his lasting mark with the Red Wings as a quiet, composed and worthy leader. Though his countenance is not the likely candidate for strong leadership, Zetterberg’s performance on the ice has demanded respect since the start of his career. Regardless of what Henrik chooses to do with the upcoming season, he will remain an influential leader among the Wings and their fans. Zetterberg’s ability was immediately noticeable in his two seasons playing for the Swedish Timra IK league. Red Wings scouts are constantly scouring European leagues for the NHL’s next level of talent and struck gold with Zetterberg. In two seasons, Zetterberg tallied 78 points in 95 games. Returning to Timra IK during the 2004-05 lockout, Zetterberg earned another 50 points in 50 games. His quick skating and ability to weave through traffic was mesmerizing and captured the attention of head European Scout, Hakan Andersson. Following Andersson’s report of the young forward, the Wings picked Zetterberg up in the 1999 draft. A late draft pick, seventh round and 210th overall, Zetterberg immediately made an impact on the team. He adjusted to the NHL ice with ease and though living in the shadows of the greats—Steve Yzerman, Kris Draper, Sergei Fedorov, and others—during those early years, he was no less impactful. Joining the Wings in 2002-03, the season following a tremendous Stanley Cup victory, Zetterberg found a home with a franchise on a winning high. Zetterberg’s rookie season yielded 44 points in 79 games. Under the leadership of Yzerman, Henrik was set up for success. Yzerman was a captain for the ages and, not known to Zetterberg at the time, Yzerman’s tutelage was going to be a leading reference point during his own time as captain. Following the 2004-05 lockout, Zetterberg hit the ice with renewed vivacity and put up 85 points in 77 regular-season games. The following season, Yzerman retired and relinquished command to Nicklas Lidstrom—the first European captain in Red Wings history. Having a fellow Swede to look up to, especially a seven-time Norris Trophy winner, Zetterberg once again had the best talent in the league as an example. He thrived under Lidstrom’s almost stoic leadership. 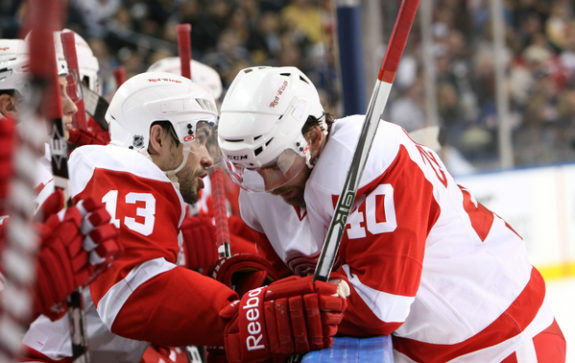 Zetterberg found his niche on the ice alongside teammate Pavel Datsyuk during the Lidstrom era. The pair, being referred to as “Euro-twins” by many of their fellow teammates, was unstoppable. As a result, Zetterberg hit a career high of 92 points in the regular season of the Wings’ storied 2007-08 campaign. The Wings dominated the playoffs that season, Zetterberg and Datsyuk stealing headlines the entire time, and went on to win the Stanley Cup against the Pittsburgh Penguins. Zetterberg won his first Conn Smythe trophy as a result of the successful campaign. Henrik’s ability to make a play, score while falling backward or a perfectly placed one-timer made him an on-ice force that few could argue against. He was fast, efficient, and always seemed to come out with the puck. He made fearless efforts and by example, encouraged his teammates to do the same. As the seasons wore on, Lidstrom announced the end of his 20 season career as a Red Wing. Zetterberg, serving as an alternate captain at the time, was the resounding and obvious choice among fans as well as Red Wings management. The Red Wings’ head coach at the time, Mike Babcock, agreed with the decision to promote Zetterberg. 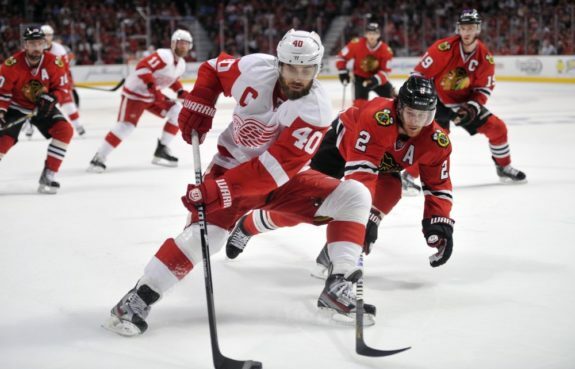 Zetterberg became only the third captain named to the Wings since 1986—asserting the Wings’ culture of earned authority and loyalty. Though Zetterberg had inherited a faltering team, he quickly became the most respected player in the locker room and around the league. His leadership and overall performance even gained the accolades of Wayne Gretzky. “I think he’s the best Swedish player they’ve ever put into the National Hockey League, and there has been a lot of great ones, from (Borje) Salming to (Nicklas) Lidstrom,” said the Great One. Upon receiving the title of captain, Zetterberg was among the elite of Swedish-born players for all-time scoring, holding the ninth spot in NHL history. Beyond the numbers, Zetterberg’s perseverance serves as one of his biggest assets. Succumbing to a crippling back injury in the 2013-14 season, Zetterberg was forced to endure surgery to remove a herniated disc. Chosen to represent Team Sweden in the Sochi Olympics, Zetterberg made an attempt to participate but told NHL.com media that the back pain was “20 times worse” after only one practice game. Still maintaining his ever-present concern for his teammates and their ongoing success, even the day of his surgery, he reached out to fellow Swede, Niklas Kronwall, to send encouraging words prior to the Sweden-versus-Finland match. 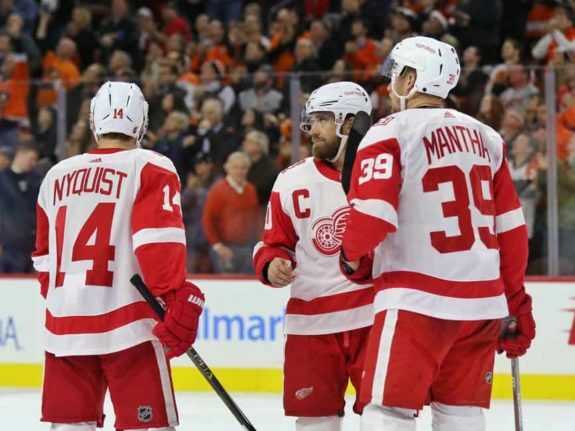 Questions whirled around the fate of the Red Wings’ leadership, being that their newly appointed captain was down and seemingly out. 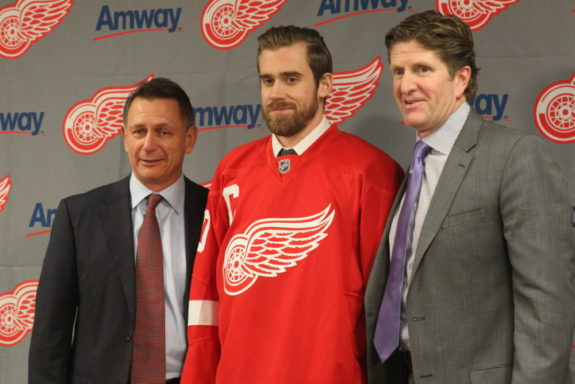 Zetterberg was determined, however, to defy the speculation regarding his career. Showing steely determination, he worked through his recovery and demonstrated the work ethic that makes him so admirable. Zetterberg returned to the lineup for the 2014-15 season to play in 77 games and still earn 66 points. This year’s offseason has been spewing rumors and speculation once again about the fate of Detroit’s beloved captain. Since back surgery, “Z” hasn’t been the same. Having a now noticeably slower pace, Zetterberg appears to be allowing the younger players to take up more responsibility, especially on the top line. But does this truly mean that Zetterberg is done? Does this mean that his legacy ends on failure—if it is to end this season? Henrik’s ability to understand and work with his own body and its idiosyncrasies has resulted in him preparing other players to take up the mantle when his time is done. Ever a leader, Zetterberg is training the new generation to lead the way. Fading into the background has negative connotations, however, in a team atmosphere, one man does not define the team. A true leader creates opportunities for new leadership to rise and develop. The goal is not to be the face of the team or receive the glory, but to lead by example and then allow your example to be played out through others. Zetterberg’s nature as an athlete is calm and collected—he’s not a gloater or aggressive man. He doesn’t demand the spotlight and is confident in his work as the captain. Zetterberg is leaving a legacy in Detroit regardless of how his career comes to a close. Though it’s not confirmed as of yet, his candor remains refreshing. Zetterberg’s production and contribution to the team over the years is unmistakable. He has worked through team disappointments, dealt with the negative bombardment of the media and fans, physical pain and much more. In spite of it all, Zetterberg is just shy of 1,000 career points—an impressive milestone for any hockey player. He has remained a steady role model to the new generation of player. Zetterberg represents his country with the utmost respect while embracing the Detroit community, where he has spent the whole of his career. Zetterberg’s time with the Wings will always be looked on with respect and admiration by players and fans alike. Little argument will ever be made when it is said that he is one of the best captains Detroit—and the league—has seen.